#SummerCleaning plus How to Channel Your Inner "van Gogh"
Is your iPhone or iPad jammed with images from just a month of summer vacationing? Take a moment while you binge watch Game of Thrones on HBO to organize your favorites and delete those duplicates. Really? You don't have duplicates? How to Delete Pictures on an iPad gives a nice basic review on deleting from the iPad itself or connecting to a computer to delete or move pictures to storage. Do a bit of cleaning up...think of it as summer house cleaning. Channeling Your Inner "van Gogh"
an app to turn a photograph into a watercolor style painting. 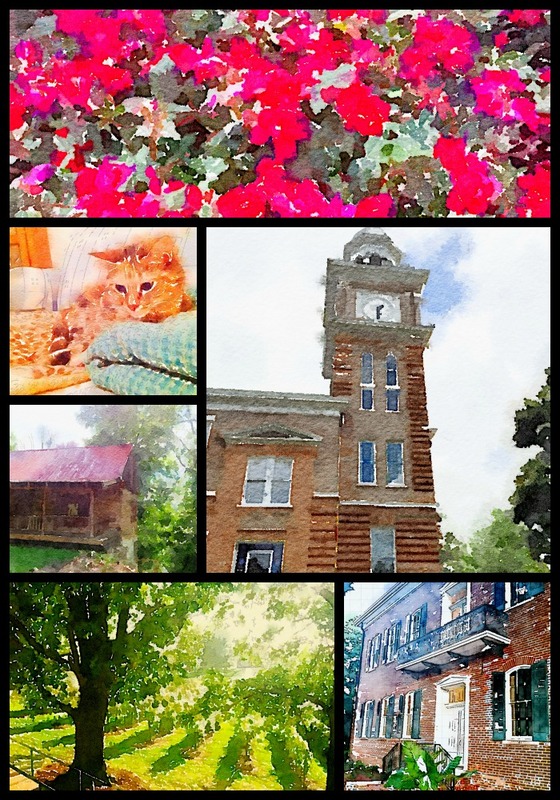 Waterlogue for iOS devices was a Best of 2014 App Store with a low cost of $2.99 and tons of great reviews. Yes, other applications are out there that will do the same thing but Waterlogue just has a bit of magic going on. Seriously, I'd rather play with images with this app than spend time on Facebook with my relatives. I found landscapes, buildings, and flowers worked well changing into a watercolor print. My sister's kitty picture took a bit of tweaking. I made several of my German Shepherd but he is so dark, he just looked like a blob. Maybe I'll try snapping a few pics of Shep outside...which might be a miracle in itself since he tries to run after birds...by leaping in the air. The following is an Animoto slide show of the before and after shots. 1. Personal creativity for family or school images. Turn a familiar picture of a local monument into a watercolor print for a special gift. Any local store with photographic printing would be able to make a print. There is also the online services such as Vistaprint which I've used for READ posters for the school library. 2. Professionally, make a folder of these watercolor images to use for quick Twitter poster quotations or presentation slide backgrounds. Share the folder as needed for projects.